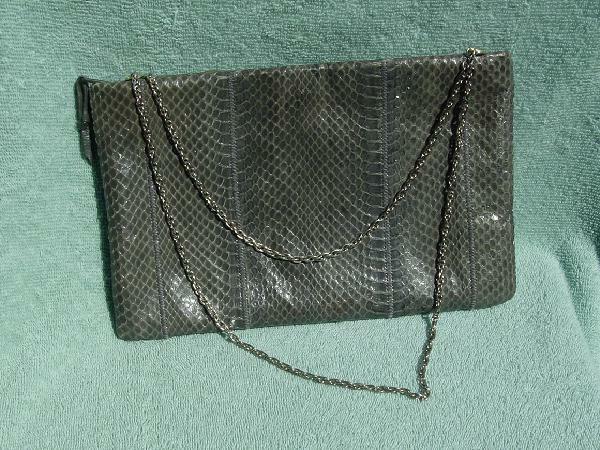 This vintage gray genuine snakeskin purse has a top zipper opening and is lined in a black manmade material with an interior zipper section. The chain, which is a necklace, can be worn on the shoulder or doubled to 19" and carried in your hand. A model used this purse in Florida and New York. It fits for both day and evening wear.